I spent a month on Pine Island, exploring such nearby places as the west side of the Everglades, Audubon’s Corkscrew Sanctuary and Ding Darling National Wildlife Refuge, which were all wonderful places. But if I wanted to see birds, which of course I always want to do, all I had to do was look out my RV window. 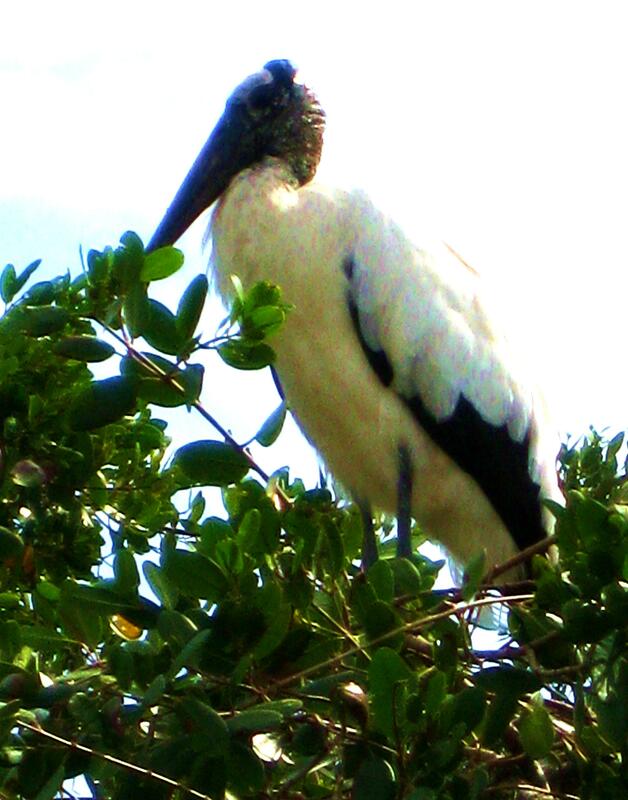 I was especially fond of the word storks that haunted the Dumpster area of the large RV park where I stayed. The also visited me and Maggie at our RV site. Bean’s Pat: Ruthless Scribblings: 12 (and a half) rules for writing http://tinyurl.com/7bmd3d7 Some good things for writers to remember. Love that quote and that picture! Love your stork. Thanks for your insight. Always inspired me. I love Pine Island!! Haven’t been there for a couple of years. You may have inspired me to take a trip once the tourists have gone home. Another favorite place down that way is the Edison house in Ft. Myers. He was the Bill Gates of his time. Ah Pine Island..what a wonderful and unknown place ! Did you make it to the islands around there? My mum’s boyfriend (british) used to love coming to Kenya with his binoculars to look at all the birds! You sound like you have a good time visiting all these places…I follow through your eyes! I do have fun. Thanks for coming along on my journey.